iknit on Lower Marsh street, Waterloo, London is one of my favourite yarn shops to pop into when I’m in the area. Come out of Waterloo underground station onto Waterloo road, turn right and walk along to the cheap bookshop on the corner. They sell a huge variety of books, including a nice shelf-full of craft books. 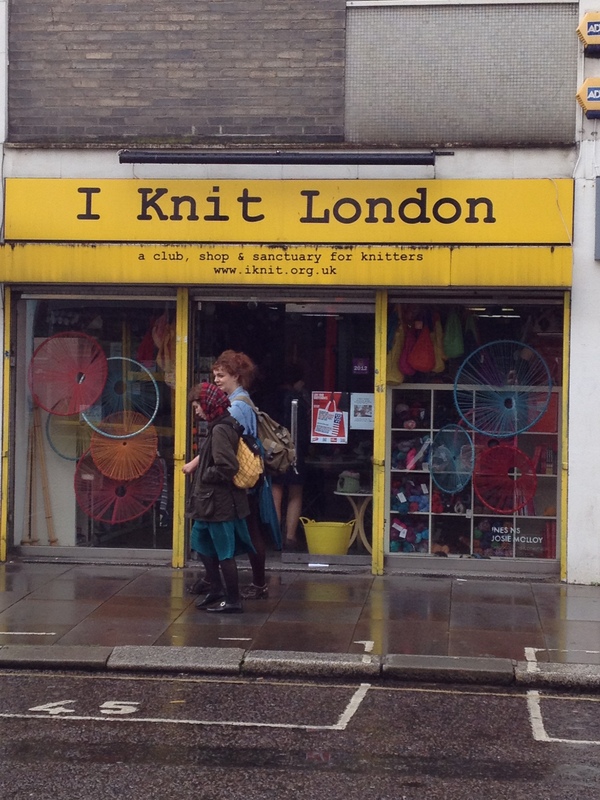 Then walk along to iknit on Lower Marsh street for a browse, knit/crochet and shop. I recommend The Camel and Artichoke pub afterwards. It’s just 2 minutes along the street. Buy a drink, order something to eat (recommend: the steak & onion baguette, chilli/cheese nachos/The Big Ben burger – if very hungry!) and go upstairs to hopefully bagsie one of the ultra comfy squashy leather sofas. Browse the Bookcrossing.com bookshelf for a free book or two. 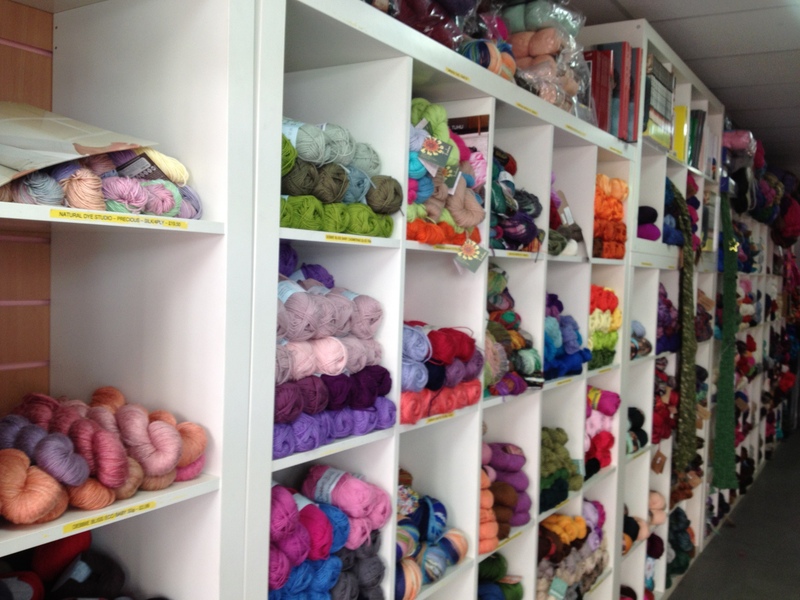 All this will keep you happy for an hour or two or…..
Pros: iknit London sell a large selection of wool/yarn in a variety of prices, brands and types. There are some sample pieces knitted up to give you an idea of the texture, thickness and general project inspiration. 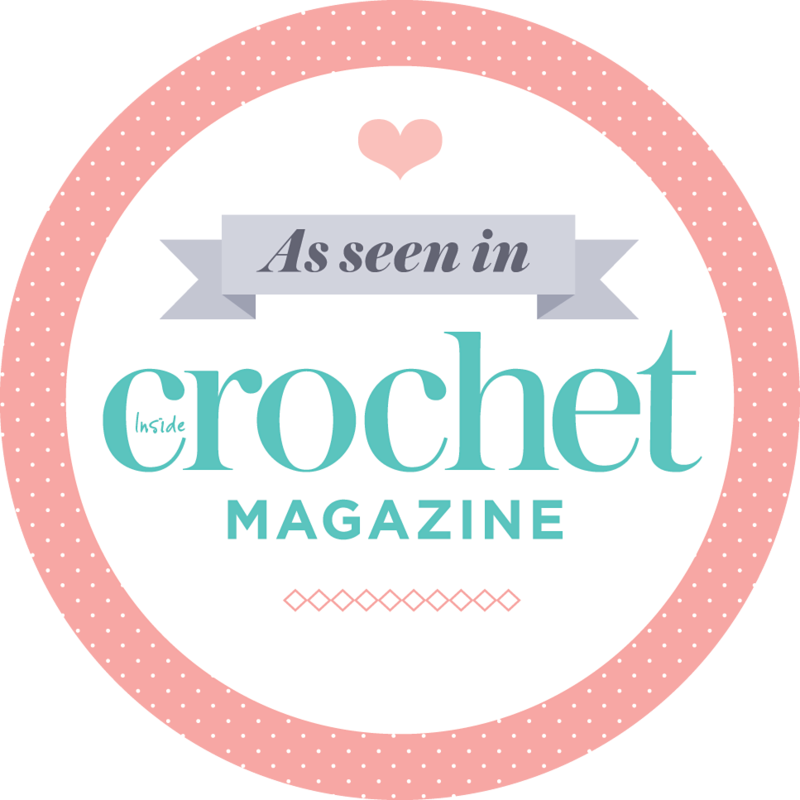 Apart from wool/yarn there is an extensive library of books to browse and buy, a rack of knitting and crochet magazines, haberdashery and little gifts, including cards and toys. 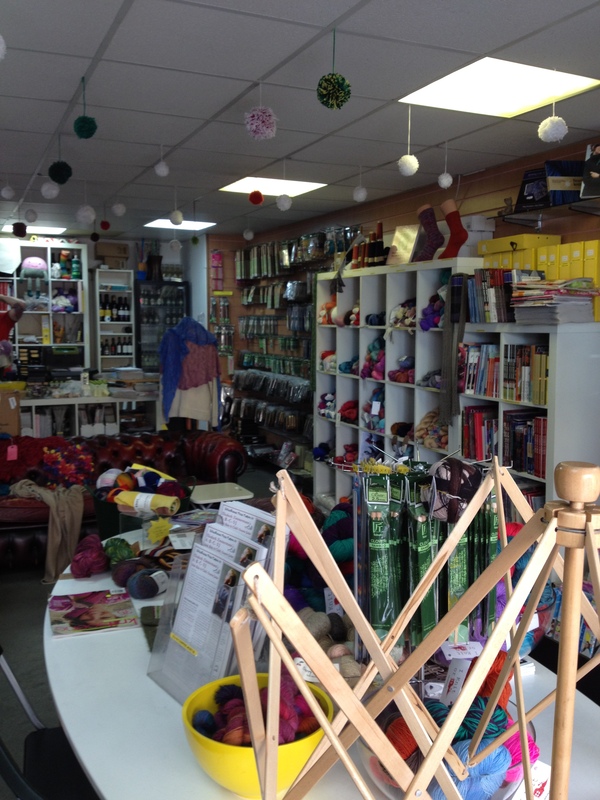 iknit London offer classes and have regular knitting group meetings, although I haven’t attended any….yet. They are licensed to serve alcohol so i imagine some of the gatherings get fairly jolly! You are welcome to take your current project into the shop and work on it while resting on the sofa for a while. Cons: Be prepared to share the sofa with a very small dog, the kind you might see a celeb carry around in a handbag! Great post! I would also like to visit when i’m next in the area! Did you buy anything or do any Bookcrossing? Thanks for sharing this. I’ll be in London during the Olympics (for work) So I will visit the store! What a lovely sounding place. To quote their website, “the only knitting shop in the UK with a licence to serve you a glass of wine” – wonderful, thanks for sharing! Oh, sometimes I wish I still lived in London – all the best places are there! !